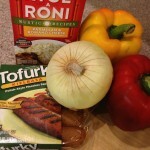 For those unfamiliar with tofu this recipe is a great introduction. 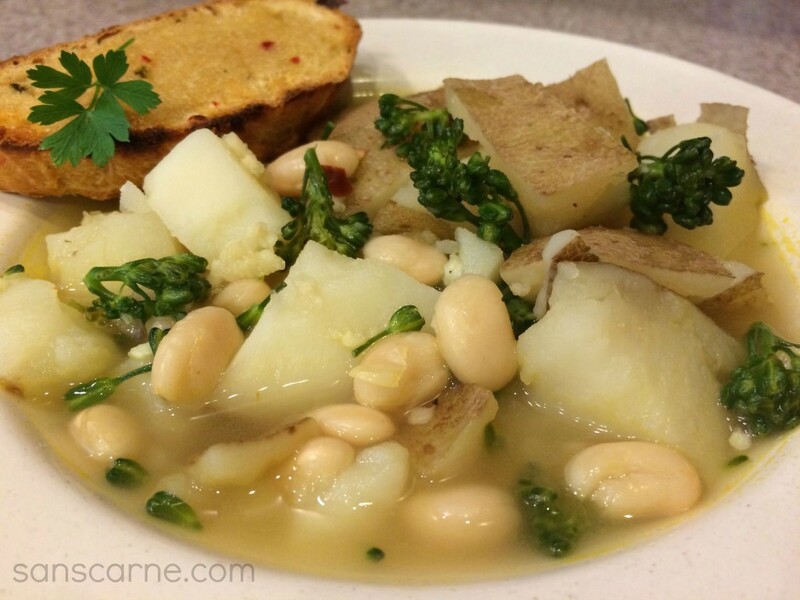 The tofu absorbs the marinated liquid from the artichoke and deliciously takes on the flavor. I buy the Nasoya brand that is already cubed from our grocer’s produce department. All I need to do is drain the water and then throw it in to the pan. 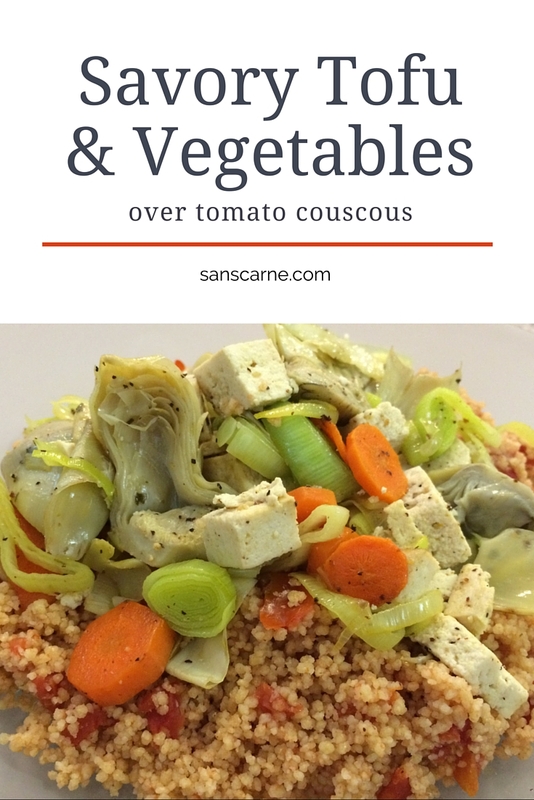 Stock up on the canned diced tomatoes, keep some jarred artichokes on hand, and then buy the couscous either in bulk or when the single serve boxes go “two for one.” Then all you need to grab are a few veggies in the produce department and you’re easily in business! Combine artichoke and liquid, tofu, cumin, and 3/4 tsp black pepper in non stick skillet. Cook over high heat 5 minutes or until liquid evaporates, stirring constantly. Transfer to bowl and set aside. Heat oil in same skillet over medium-high heat. Add carrots, leeks, 1/4 tsp pepper. Cook 10 minutes or until carrots are tender and leeks are lightly brown. Meanwhile bring tomatoes and 2/3 cup water to a boil in saucepan. 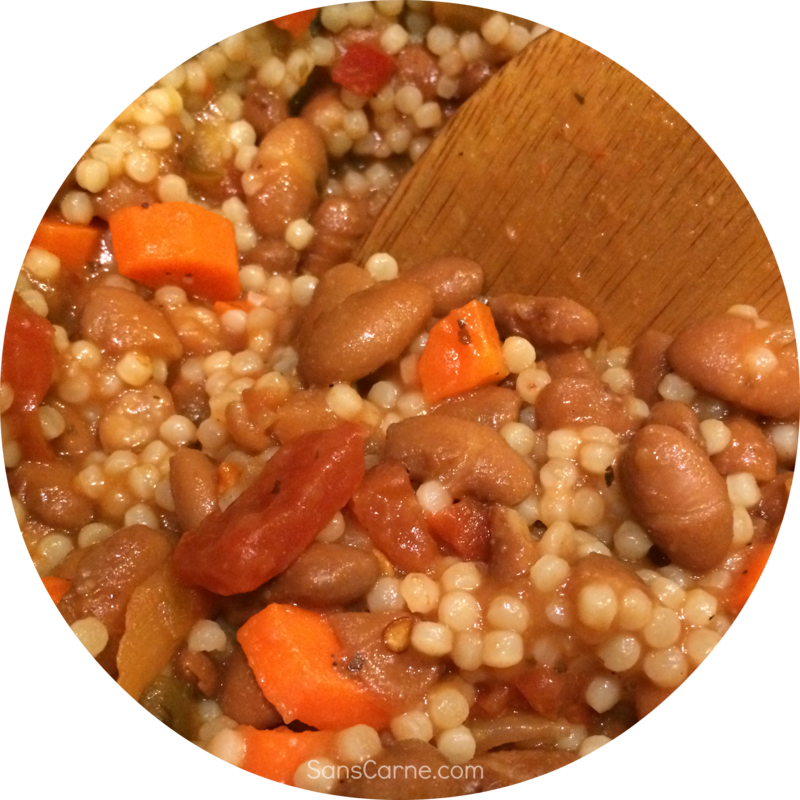 Stir in couscous, cover, and remove from heat. Let stand 5 minutes then fluff with fork. Add garlic and reserved tofu mixture to vegetable mix in skillet. Cook 3 minutes over medium-high heat or until heated through. 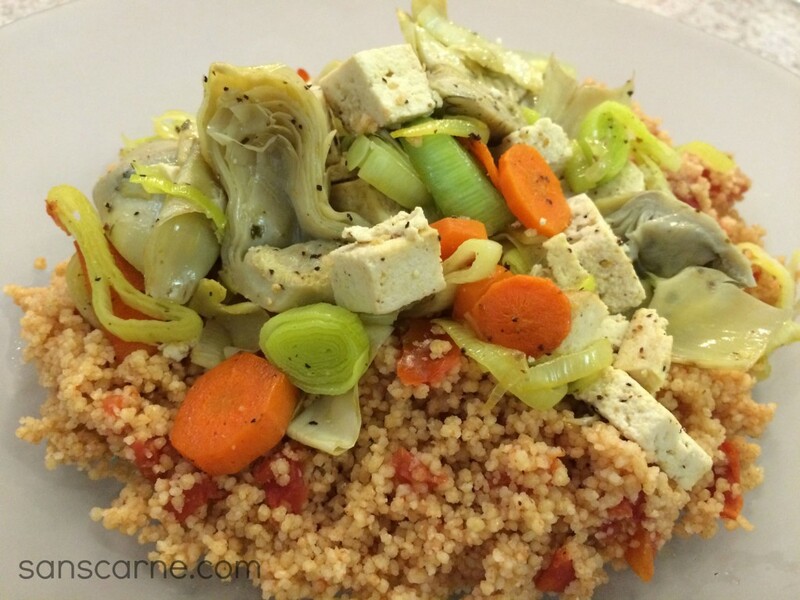 Serve tofu and vegetables over couscous. 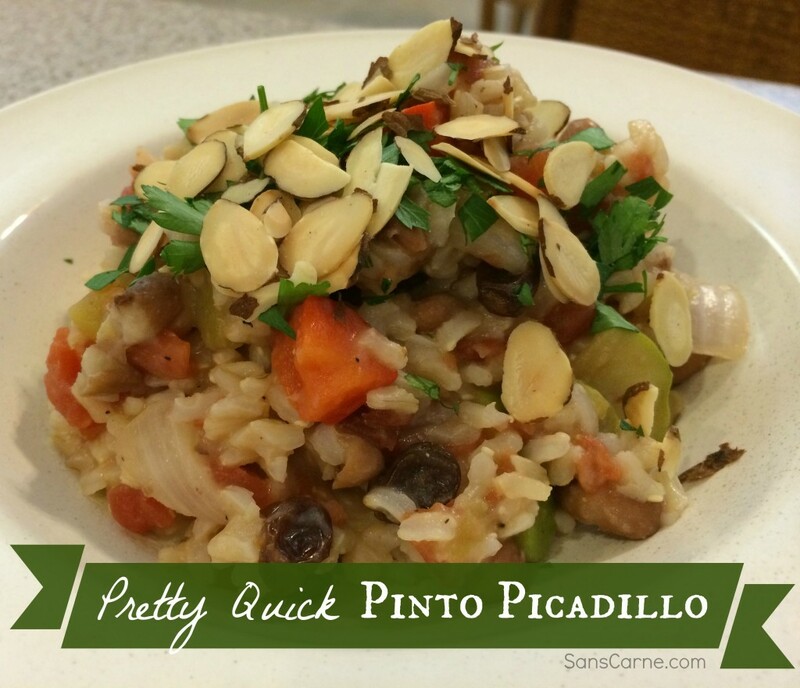 I learned of this recipe back in 2009 at a Pampered Chef party by Loreen Nolte. 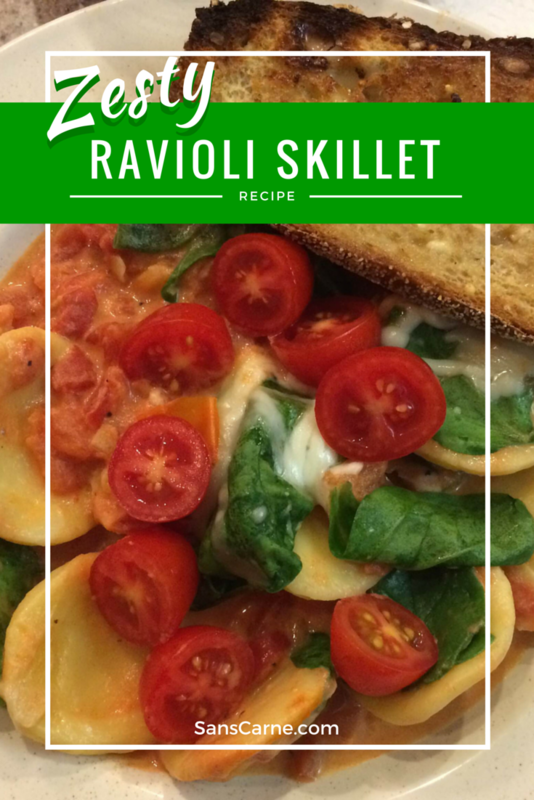 It was such a tasty and quick dish to make that it has become an easy go-to staple in our household. When you’re at a loss of what to cook you can run by the grocery and pick up the ingredients in a flash. Prep and cook time are lickety-split and you’ll be soon enjoying this savory dish with a glass of wine. Add oil to skillet and heat over medium-high heat 1-3 minutes or until shimmering. Finely chop jalapeño and add to skillet. Cook and stir 1 minute or until crisp-tender. Press garlic in to skillet and stir 15-20 seconds or until fragrant. Add tomatoes and salt and pepper and cook until simmering 1-2 minutes. Add ravioli and stir to coat. Cook uncovered 4-5 minutes or until tender. Stir cream into skillet and cook uncovered 1-2 minutes or until simmering. Sprinkle spinach over ravioli; cook, covered until spinach starts to wilt. Remove skillet from heat, top with cheese and cover. Let stand 1-2 minutes or until cheese has melted. Garnish with grape tomatoes if desired. Don't let the jalapeño scare you - I don't find that it makes the dish all that spicy as long as you keep the seeds out. Wear plastic gloves if you're not adept to seeding a jalapeño without getting touching the seeds. I adore this recipe. 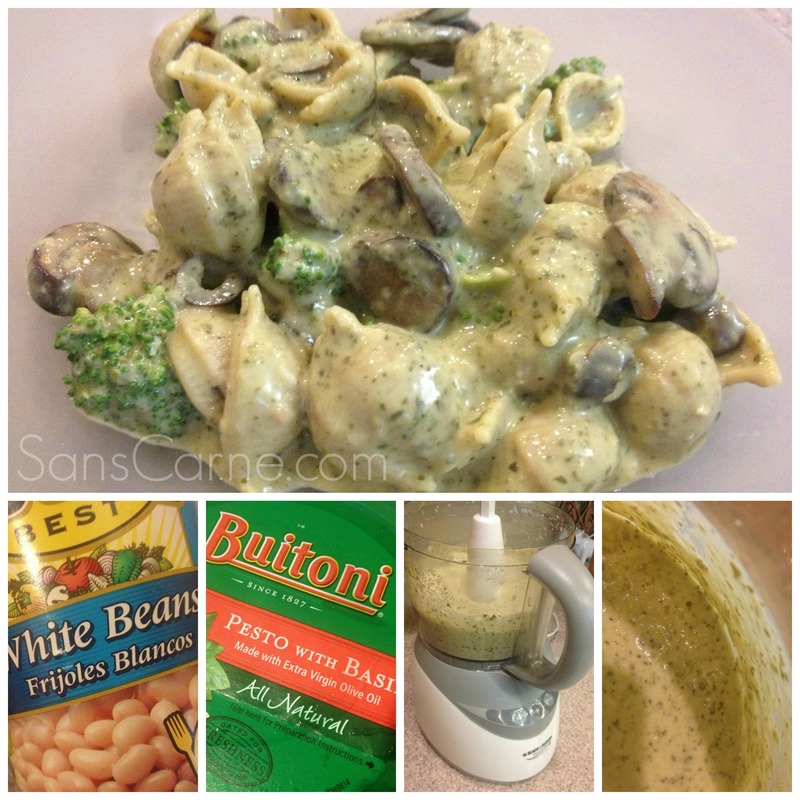 It tastes like a rich cream sauce but is made with pureed white beans and pesto. 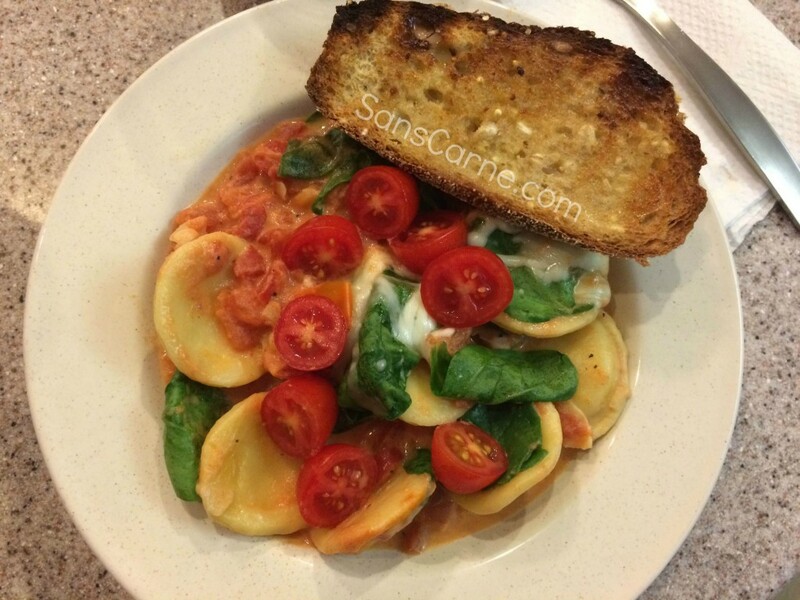 I consider it clean eating with fresh ingredients – tomatoes, zucchini, and beans. My only gripe about making this dish is cutting the crusts off the bread. I have yet to find an efficient way to do this. However, the nuisance is worth the final product. To adapt it to be vegan consider making your own pesto as most store-bought contains parmesan. I sprinkled parmesan on top at the end which could also be skipped if you were going for vegan. In food processor, combine pesto, beans, and 2 tbps of the olive oil, and blend until smooth. Add the broth and process until well blended. Set aside. Spread about two thirds of the bread cubes in the bottom of a lightly oils gratin or baking dish and layer half of the zucchini slices on top. Season with salt and pepper to taste. 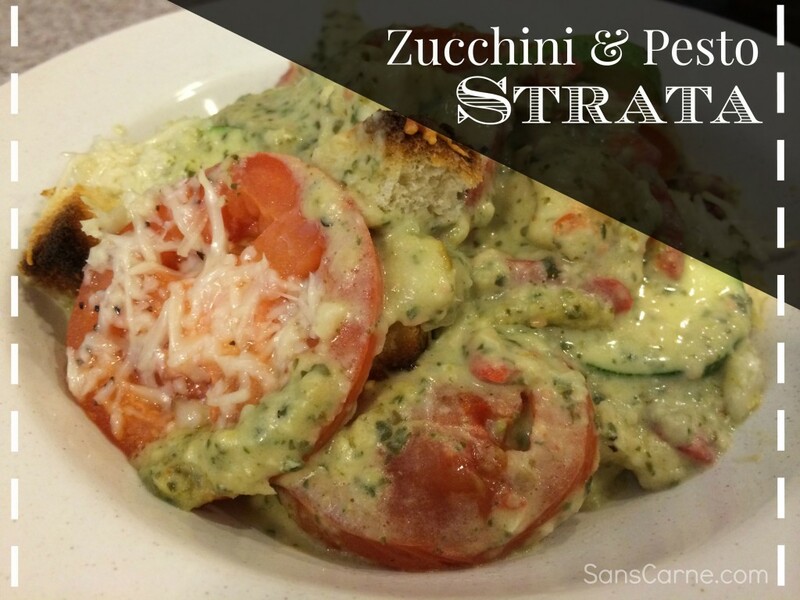 Spoon about half of the pesto sauce on top of the zucchini and top with half of the tomato slices. Sprinkle the chopped roasted red pepper over the tomato slices and season with salt and pepper. Top with a layer of the remaining zucchini slices. Season with salt and pepper and top with the remaining pesto, followed by the remaining tomato slices. Season with S&P. Top with the remaining bread and drizzle with the remaining 1 tbsp olive oil. Cover tightly and bake until the vegetables are tender and bubbly, about 30 minutes. Remove the lid and bake until the top is lightly browned, about 10 minutes. Craving some Mexican fare but looking to mix it up? 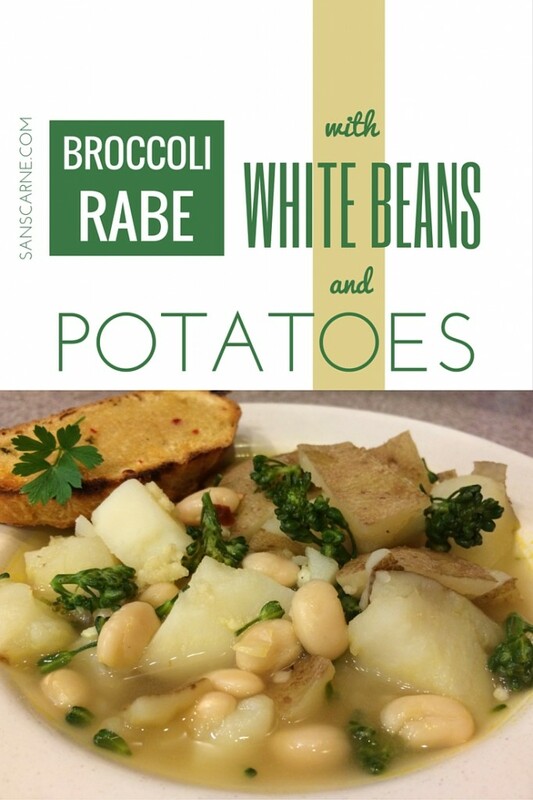 I found this recipe in our local grocery store’s publication and have loved it ever since. 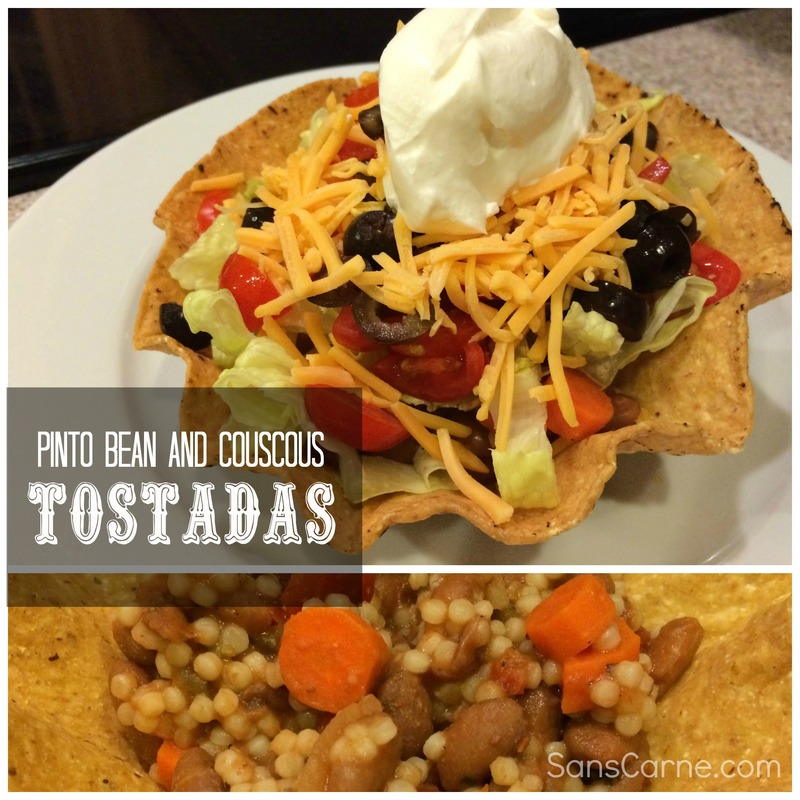 It’s a tostada made with a healthy mix of pinto beans, couscous, and carrots. It’s a dish that is easy to keep on hand as either a back-up for those nights when you can’t figure out what to make or don’t have much time. The beans, couscous, salsa, and tostadas have a long shelf life and all you need are the fresh veggies to add on top. I like to use the large couscous for the mix. The mixture of this dish is vegan; however, adding regular cheese and sour cream on top changes it to being vegetarian. So it’s completely up to you on how you put on the finishing touch. In a medium saucepan combine beans, broth, water, carrot, and crushed red pepper. Bring mixture to a boil. Reduce heat to simmer, uncovered, for 5 minutes. Stir in 1/4 cup salsa and couscous. Remove from heat. Cover and let stand for 5 minutes. 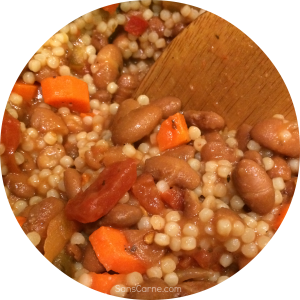 Serve bean-couscous mixture on tostada shells. Top with cheese. 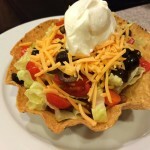 If desired serve with sour cream, lettuce, and additional salsa. My mom used to make kielbasa and peppers when we were kids. 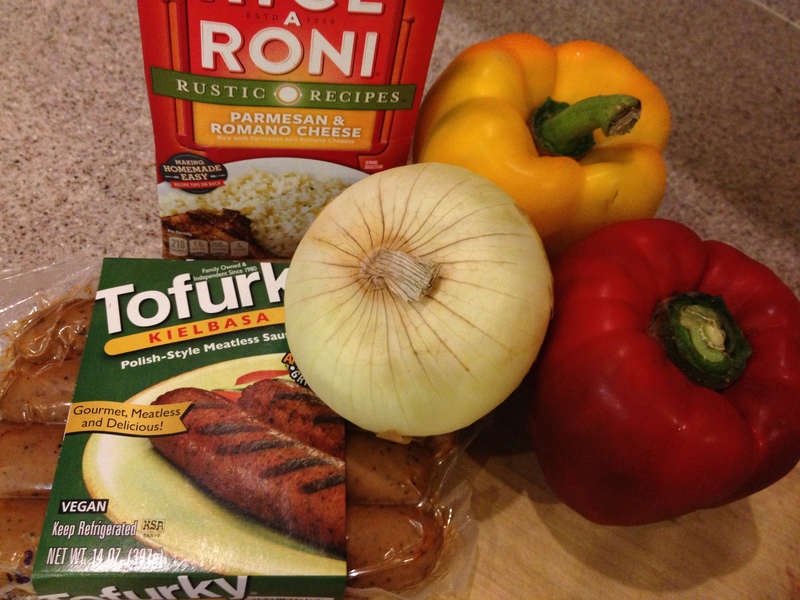 Years ago I saw that Tofurky made vegan kielbasa and her simple recipe immediately came to mind. I like this dish because it’s easy to remember and the ingredients keep for quite some time so it’s a quick go-to when you want something fast and fresh. By no means is it culinary genius but it tastes great and is done in a flash. 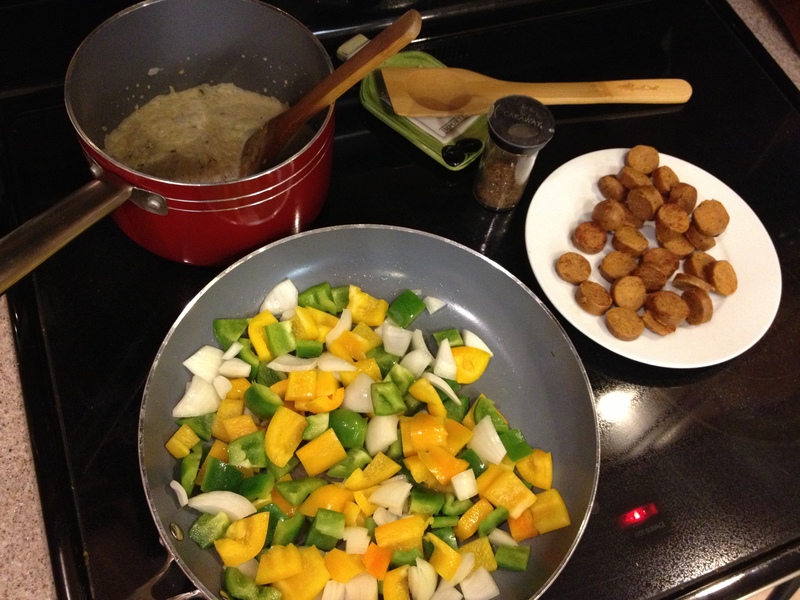 Chop up two peppers – I usually go for red and yellow or orange. Sadly the red pepper I have in this photo was moldy when I cut in to it so I luckily had a green pepper on hand. Slice two kielbasa – for just the two of us we only need two but the package has four. Before I start slicing and sautéing I cook a side of rice. I could do a lot better than the Rice-A-Roni brand and try to find a box mix that’s healthier but I just love the cheesy flavor of their Parm & Romano style. 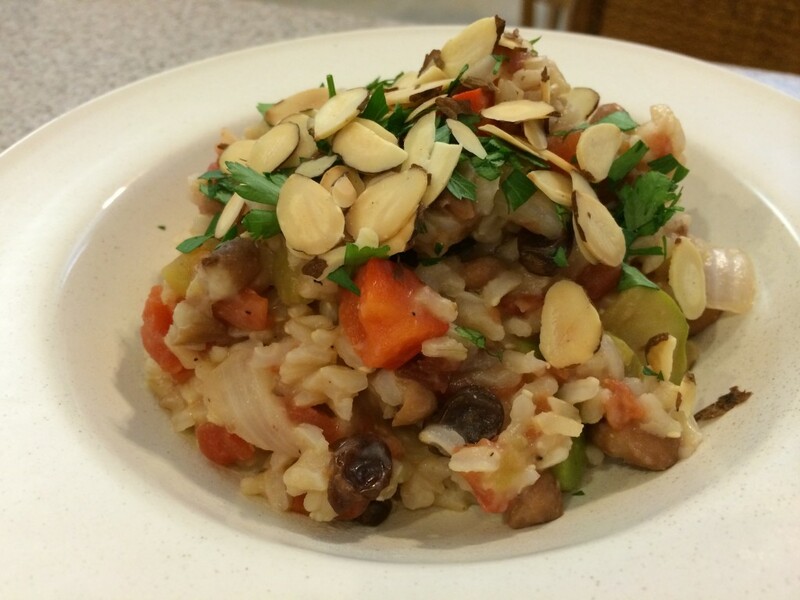 (Also, if you’re looking to make a side dish of rice that’s vegan then you’d use something else). First sauté the kielbasa in some olive oil until they start to brown. Set kielbasa aside. Then add the peppers and onion to the pan with more olive oil and sauté until they are soft and maybe a little brown on the edges. I put a lid on my pan to speed up the process. When the veggies are ready, add your kielbasa back to the mix. 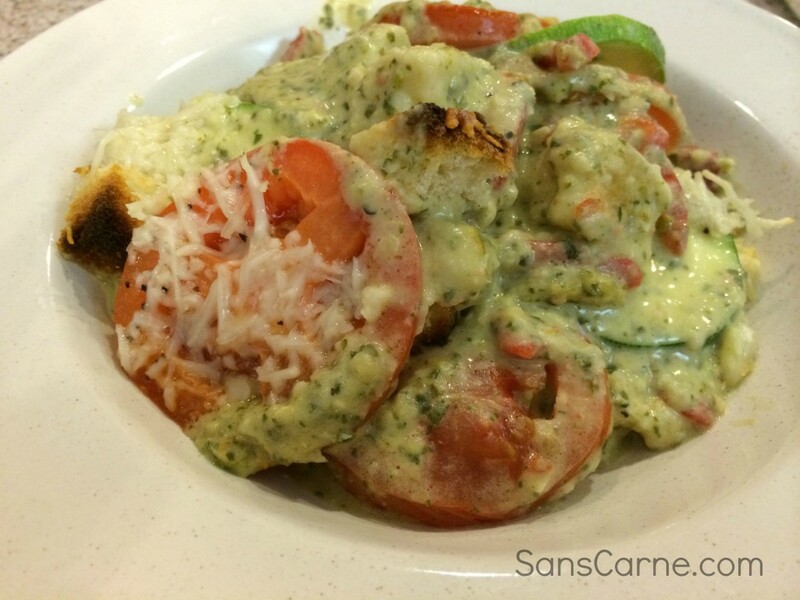 I like to throw in a dash of caraway seeds for a little more flavor. 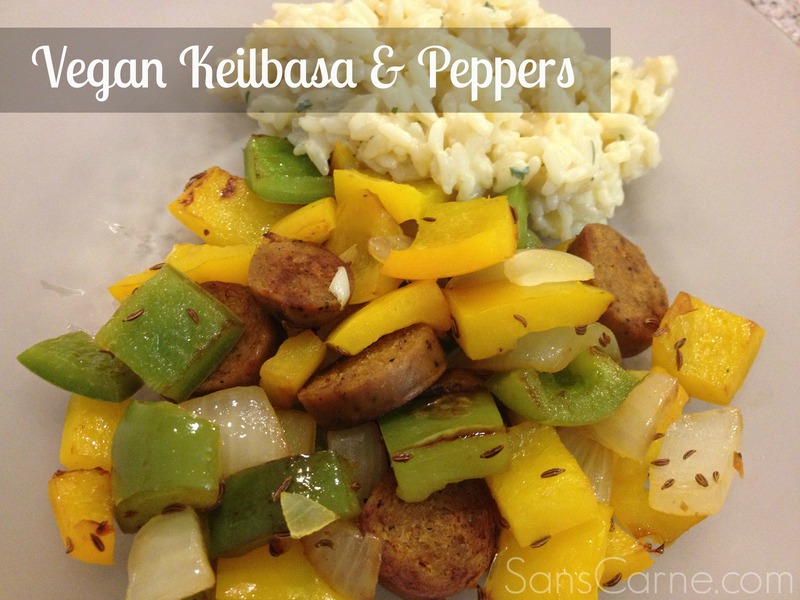 Serve the kielbasa and peppers with your side of rice and enjoy! Skip the lactose and fat but keep the flavor. I found this alfredo(-ish) recipe from one of my go-to cookbooks: Quick Fix Vegetarian. It’s pretty easy to remember and it tastes great. I’m a cheese-hound and I like that this alfredo recipe gives you the impression of thick, satisfying cheese sauce but doesn’t pack on the pounds. Use a food processor to blend the beans, olive oil, and pesto. After mixed together, add the broth to give it the creamy consistency. Add more broth if it’s too thick. I end up using the full container of the store-prepped pesto because I love me some pesto flavor. For tonight’s meal I boiled some whole wheat shell pasta, steamed organic broccoli, sautéed baby bella pre-sliced mushrooms, and mixed in a can of sliced black olives. Stupid-simple and super-yum. I had leftovers (score!) which will heat up easy for tomorrow’s lunch.